Let’s take a look at the Kershaw Bareknuckle, now available over at the Knife Center. The Bareknuckle, like the Kershaw Natrix, was inspired by the original Zero Tolerance 0777. The Natrix, a well-rounded EDC knife that can tackle just about any everyday task, has been a best-seller here at the KnifeCenter since its introduction. If you liked the Natrix but wished it could be made in America, then the Bareknuckle should be right up your alley. The Bareknuckle takes its cues from that award-winning design and provides a slim profile, excellent materials, and American-made quality. For starters, the blade uses Sandvik 14C28N steel, a fine-grained stainless alloy that was originally developed for Kershaw, giving the knife excellent performance. Thanks to the modified Wharncliffe blade with its sweeping profile, it is versatile enough to handle almost any cutting task. The handles on the Bareknuckle can fit a wide range of hand sizes and are made from gray anodized aluminum that gives the knife a very industrial look. 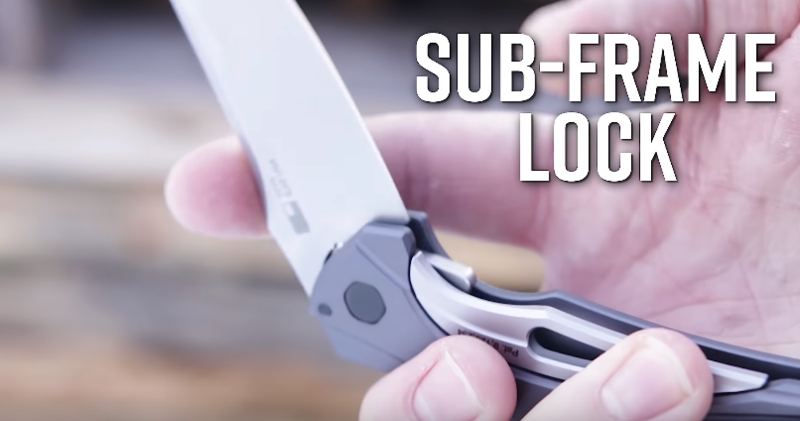 It also features Kershaw’s patented Sub-Frame Lock, which gives the security of a frame lock but has the added benefit of cutting down on weight. This pairs well with the deep-carry pocket clip, making it feel like the knife is barely even there. Our favorite feature on the knife is the use of the KVT Ball Bearing System. Just a press on the flipper tab and the blade swiftly glides into place, making it ready to rock n’ roll at a moment’s notice. The non-assisted feeling of this buttery smooth flipping action is worth the price of admission. 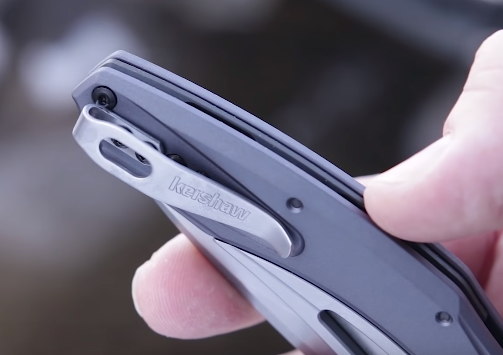 We love how Kershaw has packed in so many of their innovative features into an American-made package, and this is a great candidate to make part of your EDC rotation. Let us know what you think in the comments below!